Do you want to get your novel finished, but find that your head comes up with excuses that get in the way? We all do this. I sometimes think writing is hard… I’m not in the mood… I haven’t really time now… It will be better to write later, tomorrow, next week, next month, next year… It’s a dangerous pattern because writing a novel takes a lot of hours, and this kind of thinking will always stop us getting things done. It’s true that writing a novel can feel like hard and unpleasant work, but actually when you think about it it it’s not like that at all. Have you ever experienced time passing in a blur when you’re lost in your writing? Have you ever felt playful or creative as you write? Do you sometimes feel productive or proud of your words? Isn’t it satisfying to write a paragraph or chapter that really works? So why don’t our silly heads tell us all these good bits instead of telling us writing is difficult? If you’re the sort of writer that’s finding it hard to buckle down and finish your novel, here are some tips to help you get your complete your work in progress. 1. Notice the stories you tell yourself about writing, and then change them! If you notice yourself thinking about writing as a chore realise that this is not fact. The ‘writing is hard’ line is an untruth our unconscious minds are spinning to us. We all tell ourselves stories about our lives every day, if your mind it trying to convince you writing is hard, boring, difficult, and the rest… rewrite that narrative. Tell yourself it’s fun sometimes, you enjoy it, it’s great to get things done. Know that lots of writers write when they’re not 100% in the mood and then get in the zone and enjoy it. Tell yourself you’re a writer who writes, even when your head tries to say you’re someone else entirely. The book Inner Story by Tim O’Brian is an excellent resource for the mental game of writing. I’ve learned to rewrite the stories in my head that sometimes put me off writing. Writing isn’t an easy hobby, but it is satisfying and enjoyable. So you’re tired, you don’t have much time, or your mind is on something else..? 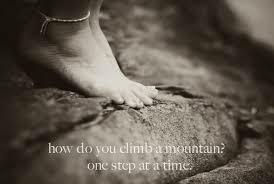 Don’t give up on writing, you can still make progress with your novel. There is always plenty to do with a project the size of a book. Think outside the box and find one easy task that you can work on that feels quite fun. 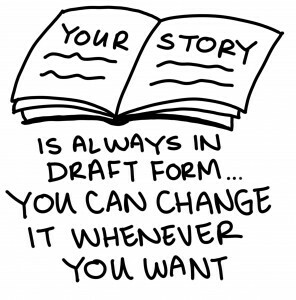 Try something quite different from writing the next page of your chapter. Perhaps you could sketch ideas for the cover of your book? Draw a mind map of a plot element you’re working on? Write a few plot notes in a notebook? Write a character bio or interview your main character? Play with your novel’s log line? 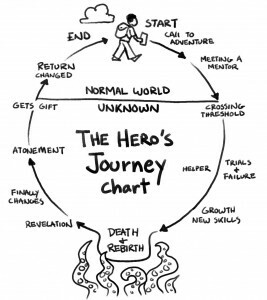 Or try The Hero’s Journey or another story structure template you’ve never used (with no pressure to finish it, you’re only playing!) Or maybe write a line or two blurb for the back of the book? Any small task, especially one that feels fun or different will work. It’s all progress and it will get your mind thinking about your story even when you feel like you don’t want to write. If you’re finding it hard to buckle down to your novel then why not put yourself in a position where it’s hard to do anything else? Take a notebook or laptop to a beach or cafe for an hour or two, with no one to chat to it’s highly likely you will write. You can also switch off distractions at home to get more done. Email, social media and websites often take me away from my writing, so I use Freedom on my laptop. This is a small app that switches off the internet for a set time. I mostly use it for 30 minute bursts of productive writing. You can also use Freedom to block specific sites such as Facebook or Twitter if you need internet for research. (Though be wary of research that distracts you from getting words on the page..!) It might seem easy to just not look at websites for 30 minutes, but I seem to get more done when I know Word and Scrivener are the only things I can use on my laptop. Freedom’s 30 minute timer also convinces my resistant head that it’s not much writing time so I can manage it. There are many goal setting apps and websites out there which you can use to nudge yourself to get things done and plan novel writing goals. 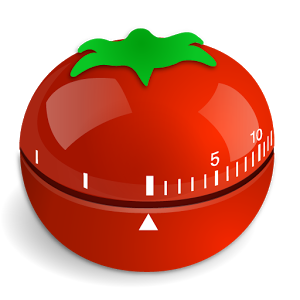 There are websites like IRunURun, Habit List or Habitica which turn to do lists into a game, or try Focus Booster which is based on the pomodoro technique for maintaining focus, plus Strides, LifeTick or Goals On Track can help you complete goals. There is even a new goal setting app aimed at writers, Prolifiko offers 5 days of writing goal setting free if you want to see if it suits you. There is an NLP technique called anchoring that can be useful for writers. It involves establishing an association between an external cue and an internal experience, a bit like Pavlov’s bell with salivating dogs! Pick some small visual token, or make a sign, like holding your thumb and forefinger together, and close your eyes and focus on remembering positive writing feelings. Practise this a few times while holding the token for the best effect. This will anchor that feeling so that the token will become associated with it. Writers might find there is some symbol in their book that they could use for this, maybe a small figurine of an animal that plays a part in the story, could work. Then holding the figurine will trigger positive feelings of writing flowing and going well. Why not try it to see if it motivates you to write? There is more on NLP anchoring here. It never helps to think of a great big novel that will need writing and then editing! 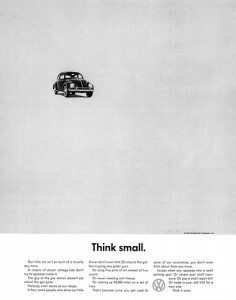 It is much better to focus on one small achievable next step. My goal is usually just 300 words a day. This is achievable even on a busy work day. It means I can take a few minutes while I’m at work to write a paragraph of my novel in an email, and then I send it to myself. I don’t like to wait for a big block of writing time, such as a day off, so I’ve trained myself to work in shorter bursts. Habits can be learned, so even if you think this wouldn’t suit you it could be worth trying it for a few weeks. I now open a chapter of my novel and find I can focus on it for sessions as short as 10 minutes. I’ve discovered that 30 minute writing bursts work best for me, I often work on my novel while my husband watched a dull 30 minute TV program! All these 300 words and 10 minutes of writing time do add up! If I say to myself I’ll write ‘just 300 words’ then I often keep going and end up with 500 or 1000… One Small Step Can Change Your Life is a brilliant little book that explains why setting extremely small goals is a great way to accomplish big tasks. I find it helpful to always have a long term and a short term writing goal. My long term goal right now is to finish my novel’s second draft by the time I go to a writing festival in June. My short term writing goal is to edit one chapter each week. One chapter a week plan feels achievable, but I know I’ll manage a bit more some weeks. An easy goal motivate me because I know I can do it. I probably can edit two chapters a week (and may some weeks) but if this was my goal I’d feel the pressure, and I could be setting myself up to fail. I think all progress is good, and it’s important to be easy on yourself and not get discouraged! Holding yourself to account for the goals also helps. 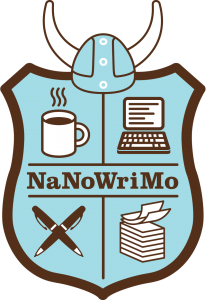 NaNoWriMo offers a community of writers all working to the same deadline with writing challenges throughout the year, it’s not only for November. My writing group meets once a month, this gives me a reason to write as I have to show them progress each month. Writing Festivals and competitions also give deadlines and a reason to make progress. Competitions often ask for the first three chapters and a synopsis. I don’t particularly like writing synopses but creating them has helped me to sort out many plot issues. I didn’t win the last competition I entered, but I’m glad I got involved because it made me work on my synopsis and opening chapter! If you want to think about writing goals there are a couple of Story Planner goal templates in our Writer’s World category, and here’s a detailed plan to consider your novel tasks this month, and set deadlines. Consider the times in your life that give you opportunities to write. 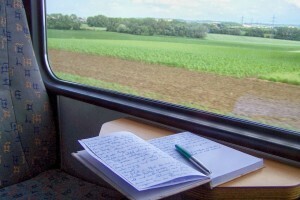 I take my laptop every time I travel on a train so I can write on the journey. It is slightly inconvenient carrying my laptop around when I reach my destination, but worth it for the boost it gives my productivity. My regular train journey is 1 hour 20 minutes, and I find I really focus on my novel when I’m travelling. If I take my son to the playground or swimming I take a notebook and use the time to brainstorm plot points, or to make notes on characters. If I’m walking to the shops or can’t sleep, well that’s a good time to think about my next few chapters. If all this sounds obsessive, well, it doesn’t feel it..! It’s become a habit, and writing in different ways (notes, chapters, structure templates, daydreaming…) makes writing my novel feel less like ‘work’ and much more interesting. If I have a Friday or Saturday night home alone I sometimes make it a ‘writing fun night.’ I buy a nice bottle of wine, sometimes even a little box of chocolates, and I give myself permission to play with my novel. There is never any word count set on these special evenings, because this is weekend fun time not productive novel working time! I know that any words achieved on these nights are a bonus, because they’re more than I’d have achieved if I’d just put the TV on. I just love my Friday night writing nights, and yes, the wine probably helps! 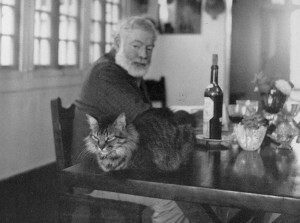 Some famous writers of the past did seem to use alcohol to help the words flow…. Have you ever tried discussing your novel’s plot with your hairdresser? Or with your friend who doesn’t write and works in a bank? Mostly these conversations are embarrassing and I do anything to try to avoid them. Yet I always love chatting about my novel with an eight year old. 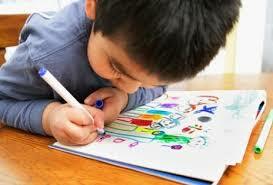 Children are curious and creative, they live in a world of imagination. If you’re stuck in your Sci-Fi novel and don’t know what the alien overlord does next, try this tip… Find a child and tell them your plot problem. I guarantee they will enter into the spirit of things, they will throw in ideas about spies, monsters, or even glowing green sinking sand… You won’t ever use any of their suggestions, but your own mind will be working on ideas as you chat to them. This tip isn’t just for Sci-Fi, I ask my kids about friendship and relationship issues in my YA novel. They relate to my plot dilemmas and tell me about things that happened at school, mention films they like, or tell me how they’d feel themselves. Children seem to enjoy any sort of creative chat. It’s another way to inspire my writing enthusiasm, my grown-up friends don’t share my interest in my plot, but kids get it. Kids don’t think it’s weird to make up stuff and care about your made-up stuff. I created Story Planner so obviously I think planning a novel is important. Plans help me know where I’m going, so when I sit down to write it’s not quite a blank page to fill I have an idea of what I need to write. I will usually create a structure plan so I know the main thrust of plot (I like Save the Cat) and then a synopsis or chapter plan. Some people think planning kills creativity, but I find there is always enough that I don’t know to keep it interesting. I do veer from my plan if a new and better idea pops into my head. If I have ideas that change the plot I keep going then tweak my structure plan later. Changing my plan helps me see where I might need to change other bits of story to fit my new idea. Some writers don’t like to plan with a structure template, though might write character notes, or just have ideas in their head. Every writer finds the method that works best for them..! The important thing is to keep going, and try to enjoy the process. 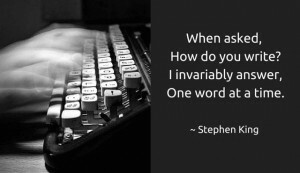 A novel is written one word at a time, write one word today. Write that one word then tell yourself well done. You’re a writer who writes, you get things done and you will finish your novel. You can do this! I hope Story Planner might be some help on your journey, try it here.